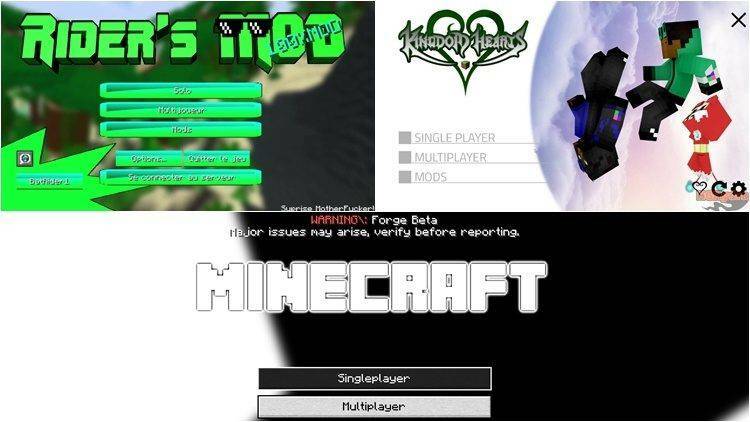 Have you ever played any great modpack and you have a question that why the main menu of that modpack is often beautiful, such as the main menu of some games on Playstation or Xbox? 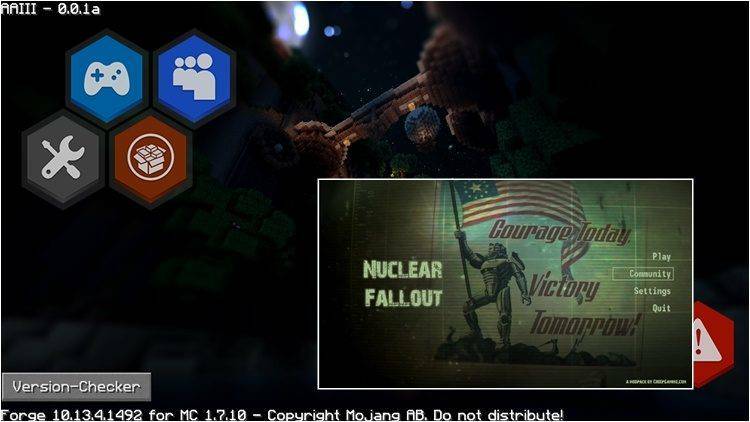 If you’re interested in information technology and code, to create a unique main menu with a brilliant but simple background, you can use Custom Main Menu Mod 1.11.2/1.10.2 for Minecraft. As you can see in the pictures, it seems like we’re logged into a very dominant game on PS4 or Xbox One S, not Minecraft anymore!!! Indeed, people are always toward the beauty in spite of the fact that beauty can sometimes hurt you, lol, I am kidding. I am a lover of beauty, how about you? Actually that when playing Modpack which has a default menu, I feel not great at first sight. It is right if it’s a super clever mod, the author usually takes care of his brainchild carefully from appearance to the content (except for a few exceptions, some mods have an ugly main menu). Therefore, after reading this article today, you will find that to create a fresh frame main menu is no longer trendy or too far-fetched. Although I said that if you know a bit of coding, you can use this mod. However, in fact, if you are not sure anything about coding, you still use this mod entirely. After installing Custom Main Menu Mod in a normal way (copy jar files into the mods folder), you find the config folder and click, which will appear a folder named Custom Main Menu, click on that folder and then you will see a file ending json. Then, right-click to json file and open it with software to edit (for example notepad ++ or more professional: brackets). It will have all the parameters of the main menu in that folder. If you’ve been working with the json file, you will see it very simple. 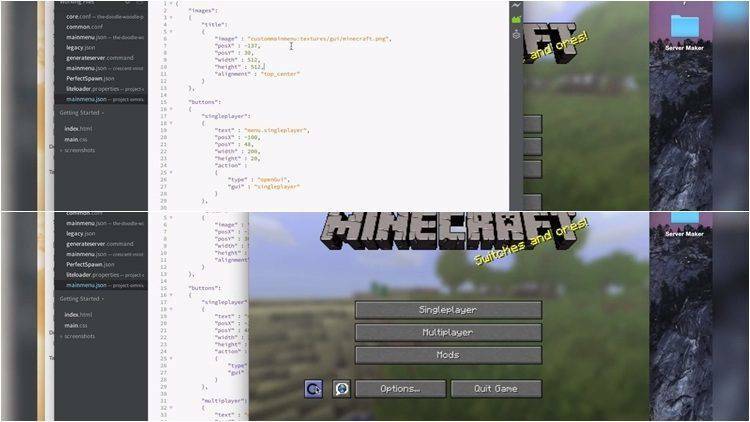 Then, you can turn on both the screen and main menu of Minecraft to edit information in json file; any changes will be displayed immediately after pressing “Refresh” to record your track. Install Custom-Main-Menu-Mod in a normal way (copy jar files into the mods folder). Copy file Custom-Main-Menu.jar into mods folder, and then go to Custom Main Menu folder which locates in the config folder to edit json file. You can also add your Resource Pack on MainMenu or use Resource Loader mod.